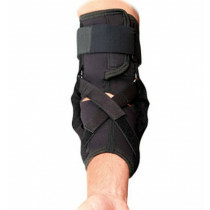 One of today's most popular patellar tendon strap varieties. Exerts pressure on the patella tendon to reduce symptoms. Provides effective pain relief with walking and running activities. A favorite of physicians and athletes. The Cho Pat Knee Strap is one of today's most recognized products for relieving pain from patella tendonitis. 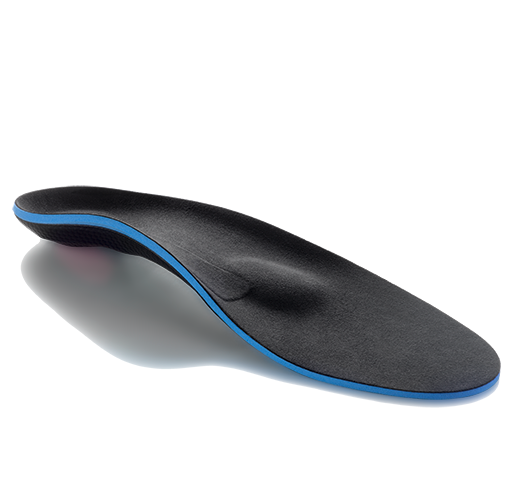 It places direct pressure on your patella tendon with walking, running, and stair climbing. It reduces the symptoms of tendonitis by dispersing stress under your patella across a larger surface area and slightly elevates the kneecap which relieves harmful pressure. The Cho Pat Knee Strap has a rubber tube encased inside a comfortable, durable felt material for increased durability. It's easy to apply and comes in six sizes to provide an exact fit. The Cho Pat Knee Strap can be used to treat acute or chronic patellar tendonitis knee pain experienced with everyday activity as well as athletics. Provides consistent pressure against the patella tendon to reduce tendinitis symptoms. Tubular buttress is durable and long lasting. Easy to apply with hook and loop fastener in the rear of the product. 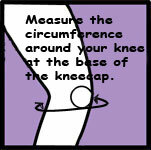 Improves patella tracking and slightly elevates the knee cap to reduce symptoms. Available in six sizes - see sizing chart tab. Note: If you are between sizes (the absolute border line), we suggest you order the smaller size. Tubular buttress material encased in a polyester/cotton sleeve. Standard hook and loop fasteners used for securing the product. 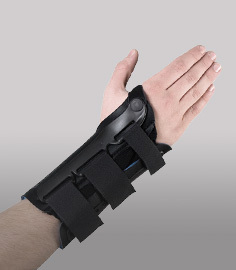 My doctor recommended the Cho Pat knee strap for my condition. I was having pain with my jogging. The product is simple and was effective for taking my pain away on running down hills. I use it now more for prevention. It fits great and works very well.  Cho Pat believes that the best way for you to select and purchase a Cho Pat product is at one of its authorized online stores of which DME-Direct is one. Only in these stores can you be sure to find the latest Cho Pat collection and ensure you are getting a genuine Cho Pat product with the manufacturer's full warranty. Cho Pat therefore recommends that you do not purchase a Cho Pat item through any website, unless it is an authorized Cho Pat dealer. We are a Cho Pat Authorized Dealer and can assure you a safe and pleasant shopping experience here at our website as if you were at our wholesale distribution premises in Valencia, California. Some non-authorized sites sell counterfeit, second-hand merchandise, and/or products containing old fabrics, glues, and resins that do not perform as intended, and are therefore, not eligible for care under the Cho Pat warranty. Others do not offer the original Cho Pat warranty, nor do they offer any after-sales service of any kind. Cho Pat takes great care to ensure that all Cho Pat authorized dealers offer you the very best products and service. Please take advantage of the peace of mind that only they can offer to Cho Pat purchasers.